This black air mover from Air Foxx is our highest output 3/4 HP air mover. Its output of 3450 CFM, literally blows away the rest of our air moving carpet & floor dryers. High output air volume is an absolute necessity when dealing with the drying of any surface, especially carpeting. The more air volume you can push across a surface, the quicker it will dry. 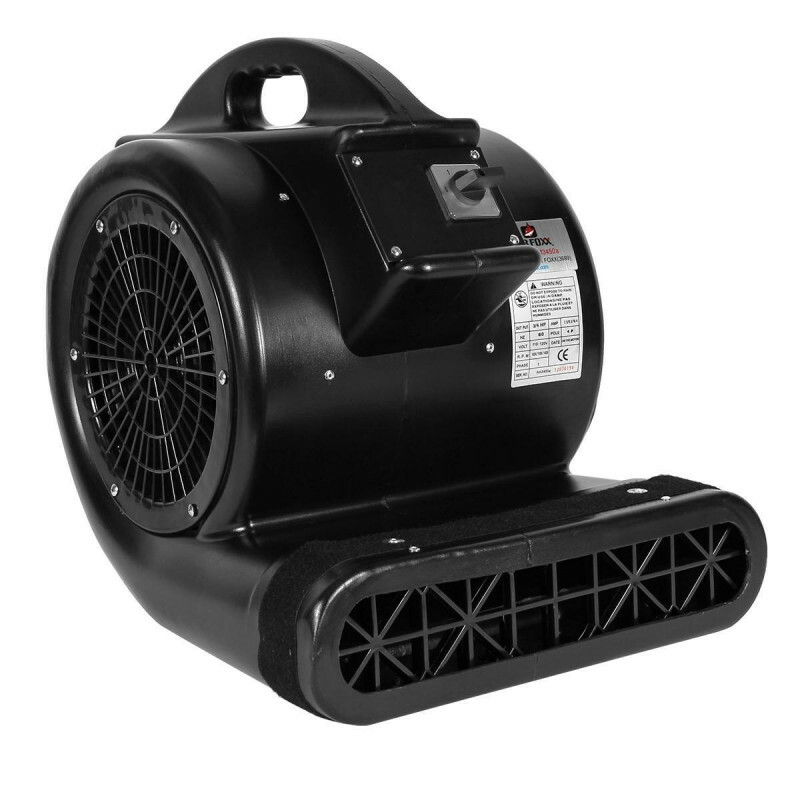 The only unit we have that moves more air is this model's big brother, the Air Foxx AM4000A carpet blower fan. 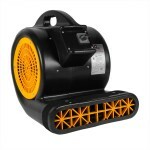 Two of these air movers will dry a typical bedroom within a few hours, after a standard carpet cleaning. Your customers will love coming home to dry and clean carpets after a hard day's work. We recommend cleaning a room, then setting up your air movers, and then moving onto the next room. Make sure to only move furniture back into place after the entire area has been thoroughly dried by this high volume air mover. For an even more economical model that has the same Air Foxx quality, please take a look at our 2800 CFM carpet cleaning business drying fans. 3/4 horsepower motor moves the highest volume of air in the industry, 3450 CFM. 3-speed, front mounted switch allows you to control the air movement to your needs. Plastic safety guard inlets resist bending and corrosion. 25 foot power cord allows for increased movement and airflow, without having to unplug the air mover. This is a review for the Air Foxx High Volume Air Mover.